In addition to LOST and Hawaii Five-O, Dae Kim also had stints on Angel, Star Trek: Enterprise, ER, and 24. 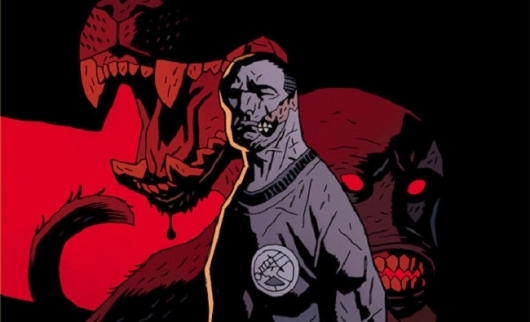 If a deal gets worked out Dae Kim would join a Hellboy reboot cast that includes Stranger Things and Suicide Squad star David Harbour, who will be taking on the title role; Deadwood and American Gods star Ian McShane, who is set to play Professor Broom; and Resident Evil and The Fifth Element star Milla Jovovich, who is playing the Blood Queen in what was previously titled Hellboy: Rise of the Blood Queen but is apparently getting re-titled. Directing the movie is Neil Marshall. Marshall is best known for directing Dog Soldiers, The Descent, Centurion, and Doomsday, as well as episodes of TV series Game of Thrones, Black Sails, Constantine, Hannibal, and Westworld. He stated back in June that the plan for the movie is for it to be R-rated, bloody, and have as many practical effects as possible. A first draft of the screenplay was penned by Mike Mignola, Andrew Cosby, and Christopher Golden, and Star Trek: Discovery and Heroes writer Aron Coleite was brought in to work on the latest draft. No release date for the Hellboy reboot is known yet.